With a commencement speech by Alison Smale, Berlin Bureau Chief, New York Times. The Hertie School hosted a special event in 2015 to welcome new and returning students of the Executive Master of Public Administration (EMPA) programme and celebrate the success of the latest EMPA graduates. Between the launch of the programme in 2008 and this event in 2015, 120 EMPA participants from over 40 countries had successfully graduated. These Alumni number among experienced professionals from various regional, national or international administrations, as well as from the private or the non-profit sectors. 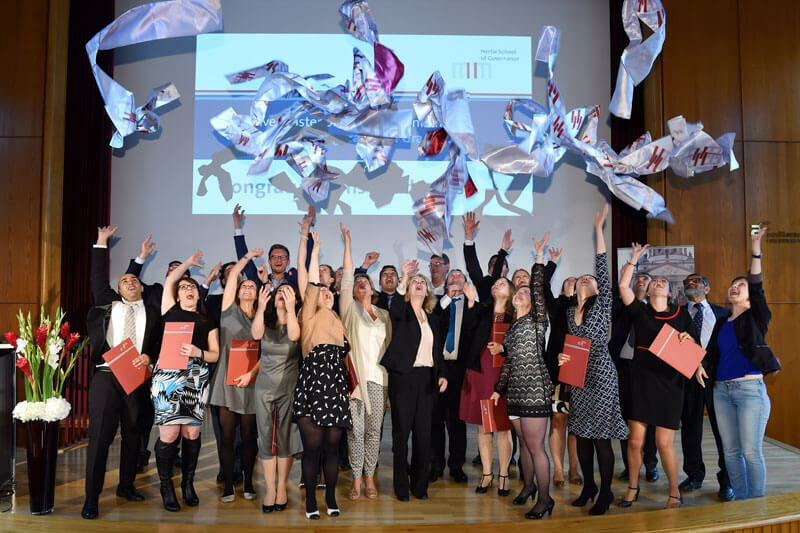 The Hertie School was also proud to award degrees to 26 new EMPA graduates that year.